Program with New England Revolution will offer new opportunities for youth soccer players. Martha’s Vineyard United, the Island’s recreational and travel youth soccer league, has partnered with the New England Revolution Development Academy to offer a free program this fall that gives Island youth soccer players and coaches the chance to train with and learn from the pros. 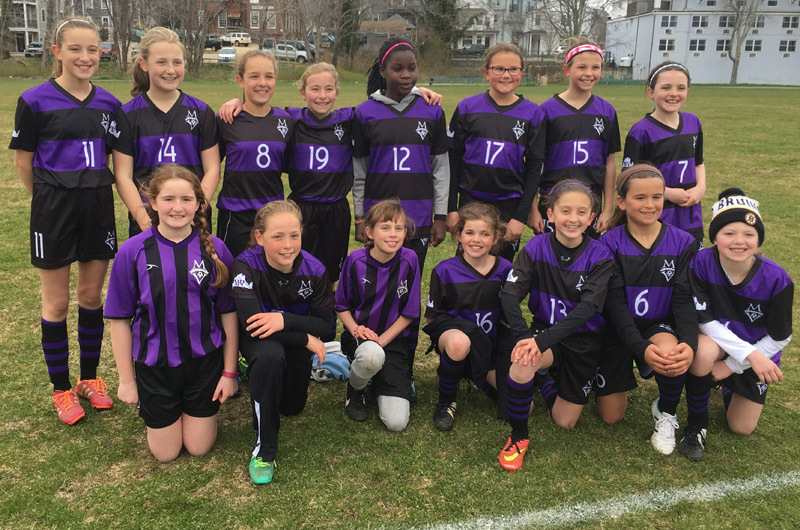 Coaching staff from the Boston professional soccer team will hold training sessions with the fall MV United program for grades five through eight, boys and girls. The two-month program begins the first week of September and each week will include two three-hour sessions with Revolution coaches. Players and families will get additional perks, such as access to special events at Gillette Stadium and partnership jerseys. Registration for the MV United season is $110, but the additional training from the Revolution is free. “This is the first time we’ve had an outside organization come in and provide this kind of opportunity for Vineyard families and players,” MV United president Matthew Malowski said this week. He credited MV United vice president David Wallis with developing the partnership. The Island league, now in its third season, holds all of its games and practices on-Island. Mr. Malowski said enrollment has grown from 115 kids in the first year to 140 last year and is expected to increase further this year. Registration is open on the MV United website, mvunited.org.